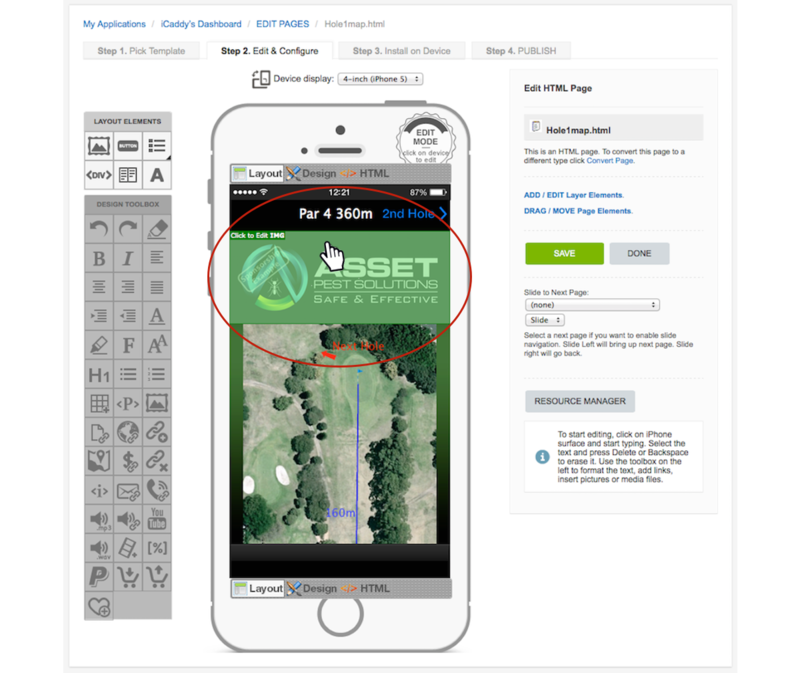 All iCaddy Apps include the ability for your Club to profit from hole sponsorship, or other advertising throughout the App. 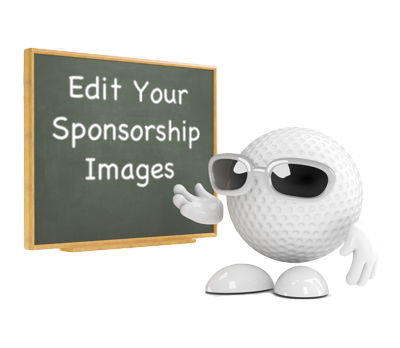 Advertising and sponsorship inclusions in each App are optional. 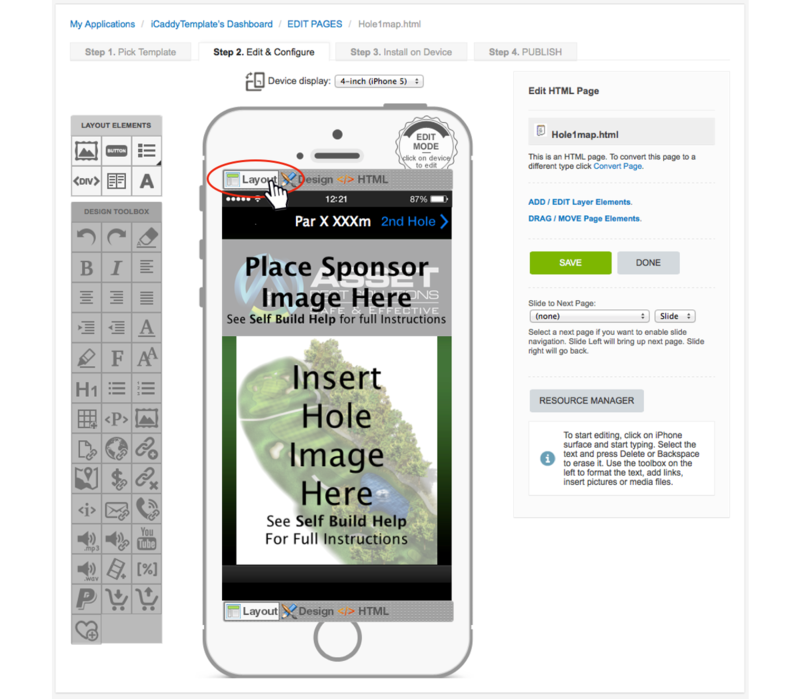 The following tutorial describes how to edit Advertising images, such as the image located at the top of each Hole Map. Hover your cursor over the image you wish to edit. The image will be highlighted in green and the words 'Click to Edit IMG' will appear at the top left of the image. Click anywhere on the image to select it. The 'Element Editor' window will appear. In the 'Element Editor', select 'HTML' from the list on the left-hand side. Click on the 'Pencil' symbol as depicted above. The 'Resource Manager' window will open. 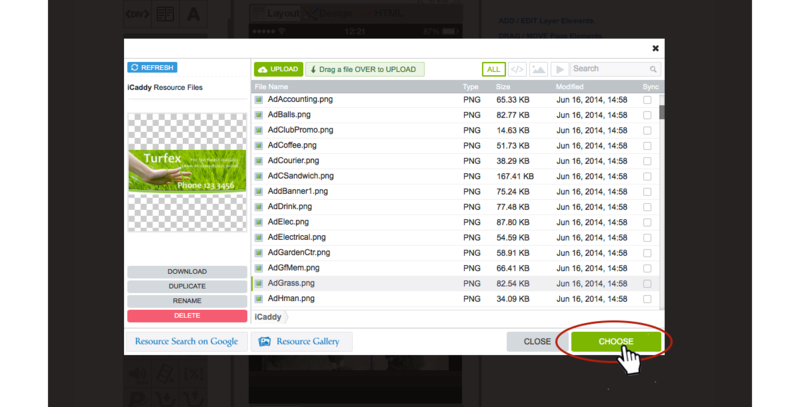 If you have not already uploaded the required image select 'UPLOAD'. 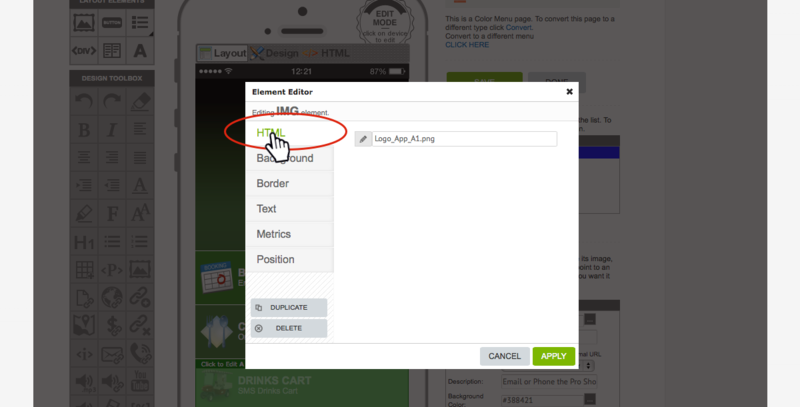 For information on how to upload images into the App's 'Resources' refer to go to How to Add a File to your App's Resources. If you have already uploaded the image in the App's 'Resources', skip to Step 8 below. 1. 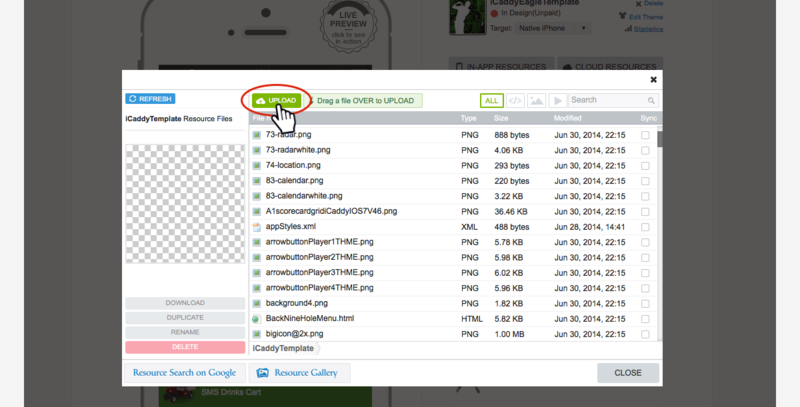 Locate the required image from your files (stored locally on your computer). 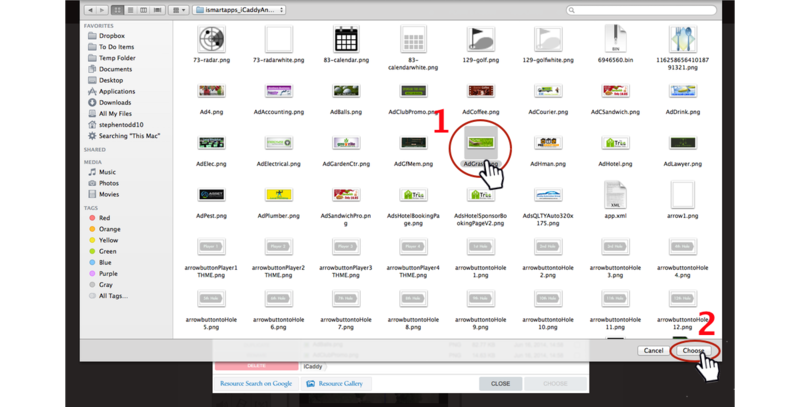 It is important to remember that file names to be uploaded into the 'In-App Resources' must have NO SPACES and only contain letters, numbers and underscores (e.g. Example_File_Name_1). 2. After selecting required image click 'Choose' (or 'Open', depending on your operating system). In the 'Element Editor', select 'APPLY' to return to the page being edited. Click 'SAVE' then click 'DONE'. 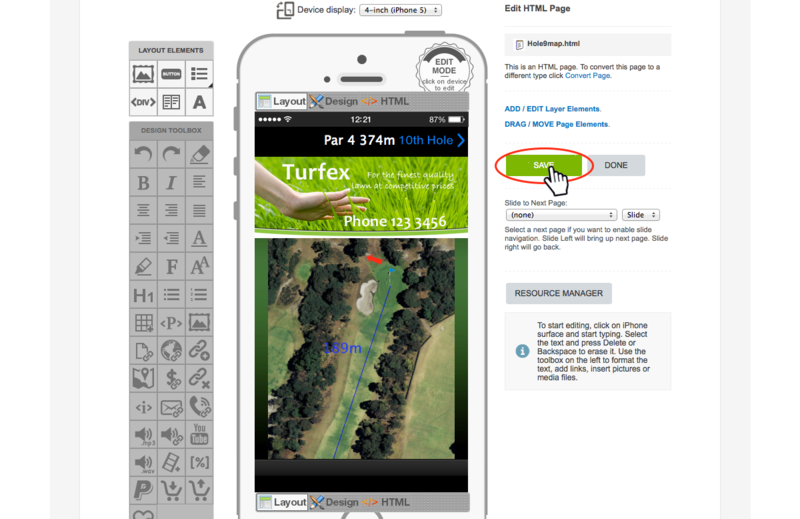 You will then be able to view the changes immediately on your device using the iCaddy Apps Previewer. Refer to How to Download the iCaddy Apps Previewer and How to View Your App on the iCaddy Apps Previewer, for further information.